Hanoi (VNA) – Both local stock indices advanced on August 28, with investors pouring money into speculative stocks for short-term profits. The benchmark VN-Index on the HCM Stock Exchange rose 7.3 percent to close at 777.26 points. The southern market index has gained 1.4 percent in the last three sessions in the previous week. 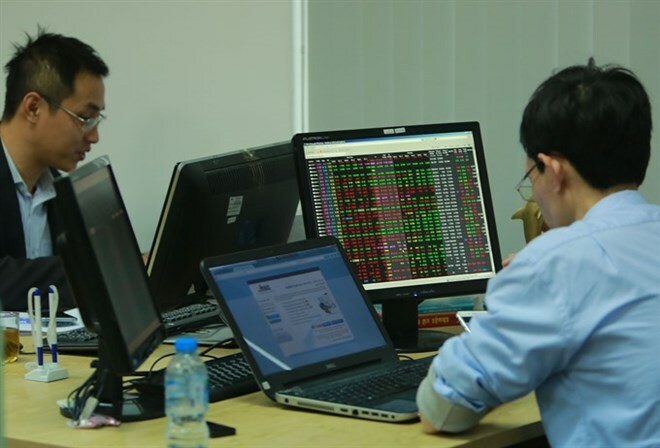 On the Hanoi Stock Exchange, the HNX-Index rallied 1.23 percent to end at 103.90 points. The northern market index increased 1.74 percent in the previous three sessions. Rising sectors included finance, steel manufacturing, energy and real estate and retail, such as Vietcombank, Military Bank, Bao Viet Holdings, PV Gas, FPT Corp and Mobile World Group, as well as VinGroup, Hoa Phat Group, Masan Group, Kido Group and Kinh Bac City Development. A total of 316.4 million shares worth almost 5.2 trillion VND (229 million USD) were traded on the two exchanges on August 28, a rise of about 36 percent in both volume and value compared to last week’s daily trading figures. However, cash was disbursed into cheap and speculative stocks in the real estate and financial sectors such as FLC Group, FLC Faros Construction, Hoang Quan Consulting-Trading-Service Real Estate JSC, Ocean Group, FIT Group and KLF Joint Venture Global Investment JSC. Except FIT Group, which decreased 3 percent, all other shares listed above climbed between 3-8 percent with millions of shares traded of each stock. FLC was the most prominent with more 60 million shares changing hands with its share price hitting the daily maximum rise of 7 percent at 9,160 VND a share. FLC’s share prices increased by 20.5 percent last week with 225 million shares traded in the last four sessions. Its surge most likely derived from speculative cash flows surrounding information that its chairman Trinh Van Quyet has registered to buy another 11 million shares from September 15 to October 15 right after his purchase of 20 million FLC shares in the last three weeks.